Supplier of Tilcor stone coated steel roof tiles from New Zealand to the Nigerian market. The Tilcor product range, available in Nigeria, comprises five distinct profiles: Tudor, Shake, Royal, Classic and Bond. This range caters for all types of construction, from residential to light-commercial and public works. Tilcor products are lightweight, versatile and easy to install. 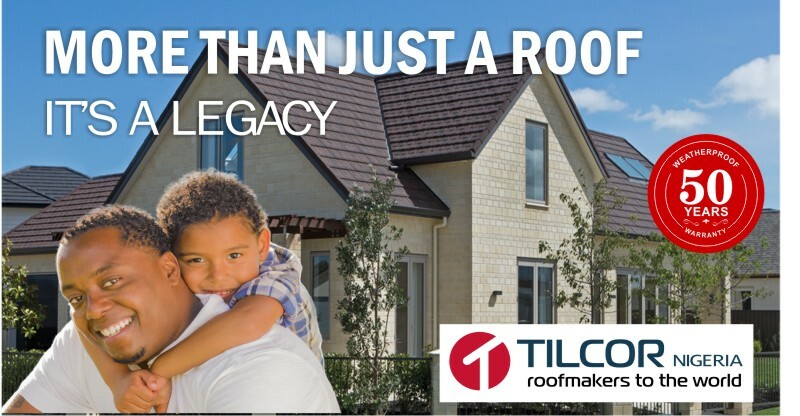 Established in 1942, Tilcor is New Zealand’s second largest manufacturer of stone coated steel roof tiles that come with a 50 Year Warranty. The Tilcor factory has installed over 50 million square metres of roofing worldwide, in over 100 countries, and is recognized as a world leader in roofing products. All Tilcor products are 100% manufactured in their New Zealand factory, which is ISO 9001 accredited and has developed an enviable reputation internationally for excellence in product design, quality manufacturing and competitiveness.